This is one of those products that you don't really think you need until you actually need it. We have separate dishes and serving containers for cupcakes, for cakes, and for chips/dips. 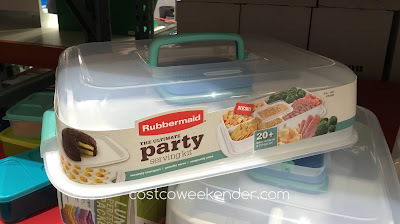 But with the Rubbermaid The Ultimate Party Serving Kit, all the containers you would need are included. 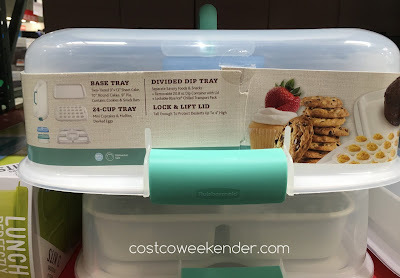 I happen to like cookies so I could see myself using the included base tray. Do you indulge in a few mini cupcakes? Then you will find the included 24-cup tray pretty handy. 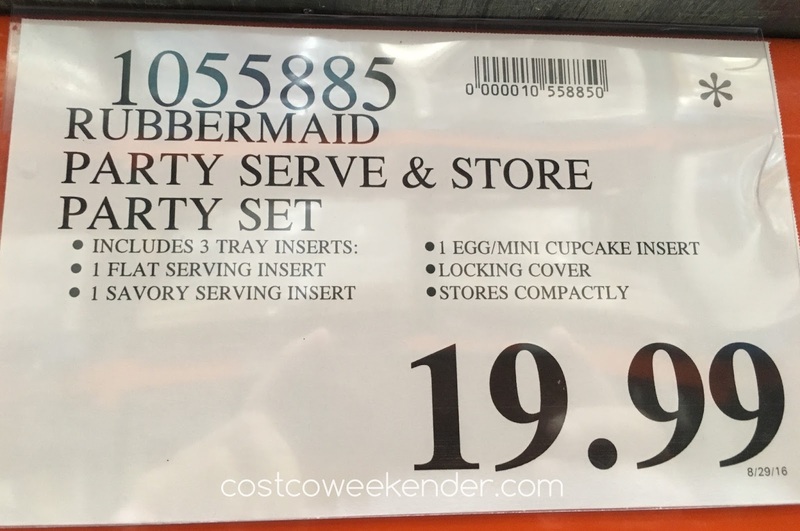 Serving chips and dip for your next party? Then the Rubbermaid The Ultimate Party Serving Kit has you covered with a tray that has divided compartments to keep your savory foods and snacks separate. Transporting desserts can be tricky as well. Should you put foil on top of them which may collapse the desserts that you've worked hard to prepare? The included lock and lift lid is tall enough to protect desserts up to 4" high. 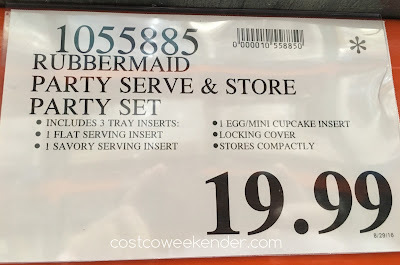 So for your next party, consider the Rubbermaid The Ultimate Party Serving Kit from Costco.